Two NYPD officers of the 81st Precinct have surrendered to authorities after failing an integrity test when they falsely arrested a man according to the Brooklyn District Attorney ‘s office. Last Friday, the D.A. reportedly charged the two with perjury, official misconduct and filing a false police report. The charges stem from a sting operation last September when the two New York police officers stopped a man carrying a backpack full of cigarettes at the corner of Howard Ave and Chauncey St. They arrested him and falsely charged him with the possession and sale of cigarettes without tax stamps. The entire incident was caught on surveillance video by the Internal Affairs department. The arrested man was actually an undercover detective who was helping to carry out the integrity test due to complaints of NYC police misconduct at the 81stPrecinct. If convicted the two NYC police officers could face up to 4 years in prison. The two officers have been placed on desk duty pending the outcome of the investigation. 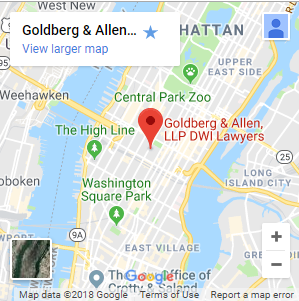 New York false arrest cases are more common than most people realize according to the law firm of Goldberg and Allen located in Midtown Manhattan. Goldberg and Allen has a history of defending New Yorker’s rights when it comes to false arrest, mistaken identity, serious procedural mistakes or NYC police misconduct. Jay K. Goldberg and Gerald Allen, of Goldberg and Allen, are First Deputy Bureau Chiefs and former prosecutors in the Brooklyn D.A.’s office. 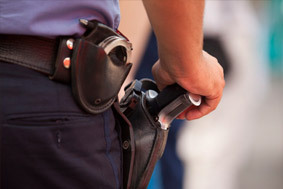 They have extensive knowledge of law enforcement procedures, including familiarity with all aspects of the current police patrol guide and are available as a resource to those who may have been wrongly charged or falsely accused of crime in New York City.